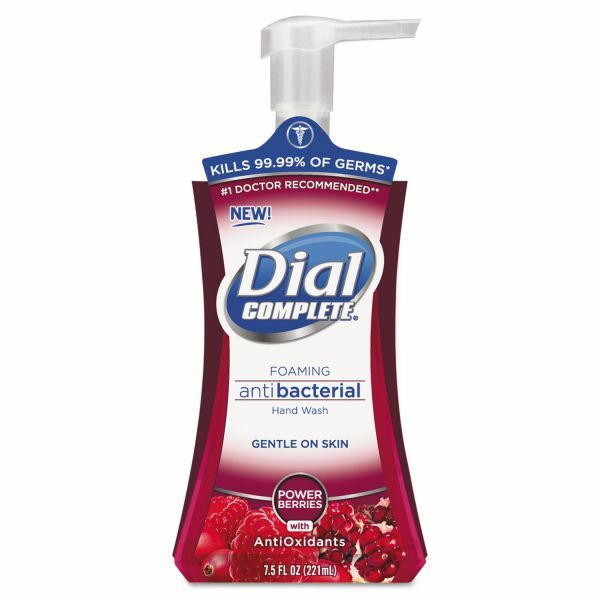 Kills 99.99% of germs encountered in away-from-settings. Proven to kill staphylococcus, streptococcus, E. coli and salmonella. Effective against VRE and MRSA. Contains skin conditioners aloe and glycerin for superior mildness. 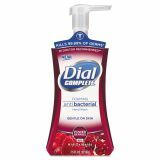 Dial Antibacterial Foaming Hand Wash, Power Berries, 7.5 oz Pump Bottle, 8/Carton - Kills 99.99% of germs encountered in away-from-settings. Proven to kill staphylococcus, streptococcus, E. coli and salmonella. Effective against VRE and MRSA. Contains skin conditioners aloe and glycerin for superior mildness. Gentle on skin and mild as water itself. Gentle on skin and mild as water itself.